The First Minister has been urged to ensure her personal communications are preserved if these could be relevant to a probe into the Scottish Government’s handling of misconduct allegations against Alex Salmond. The committee set up to investigate how misconduct allegations against Alex Salmond were handled by the Scottish Government is to raise issues concerning the “preservation of evidence” with the First Minister. Alex Salmond’s RT chat show could create the impression the former first minister and the SNP do “not understand the difference between good and evil”, the Foreign Secretary has claimed. A Holyrood committee set up to probe how misconduct allegations against former first minister Alex Salmond were handled has agreed to put its work on hold until the conclusion of a court case against him. A special Holyrood committee set up to probe how misconduct allegations against former first minister Alex Salmond were handled is to meet for the first time. MSPs have voted to establish a Holyrood committee to investigate the Scottish Government’s handling of complaints against Alex Salmond. Four former SNP ministers will be put forward to sit on the Holyrood committee being set up to investigate how complaints against former first minister Alex Salmond were handled. An investigation into whether Nicola Sturgeon breached the ministerial code during discussions with Alex Salmond has been put on hold until the conclusion of a court case against him. Former Scottish first minister Alex Salmond has appeared at court after he was arrested and charged by police. Alex Salmond has been arrested and charged. The former First Minister was arrested last night and is due to appear at Edinburgh Sheriff Court today. Police Scotland said: “We can confirm a 64 year-old man has been arrested and charged and a report has been sent to the procurator fiscal.” More follows. 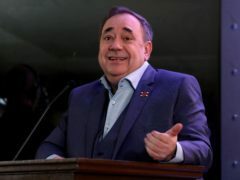 The Alex Salmond Show on a Kremlin-backed TV channel has been found to have breached broadcasting rules for presenting messages as having come from viewers when they were in fact from production staff. 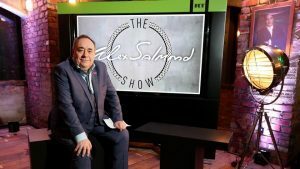 The Alex Salmond Show on Kremlin-backed TV channel RT breached broadcasting rules, watchdog Ofcom has ruled. Bright response to new campaign: are you in these #SunnyDundee photos? Organisers behind Dundee’s bright new feel-good campaign say they have been “overwhelmed” by the response so far. Ex-First Minister Alex Salmond's planned show at Dundee's Caird Hall tonight has been called off due to the weather. Alex Salmond has revealed supporting the construction of V&A Dundee ranks in his top “hat-trick” of achievements as first minister. Former First Minister Alex Salmond will take to the stage in Dundee for his very own show. Broadcasting regulator Ofcom is investigating Alex Salmond’s RT programme. Former First Minister of Scotland Alex Salmond will deliver a keynote speech on renewable energy at a major conference at the University of Dundee later this year. Nicola Sturgeon and Alex Salmond were among those who paid tribute to former SNP leader Gordon Wilson at a memorial in Dundee on Wednesday.